The Low-Down: Rise Of The Planet Of The Apes director Rupert Wyatt is back with a non-indie movie featuring a star-studded cast — John Goodman (10 Cloverfield Lane), Ashton Sanders (Moonlight), and Vera Farmiga (Conjuring movies) just to name a few. 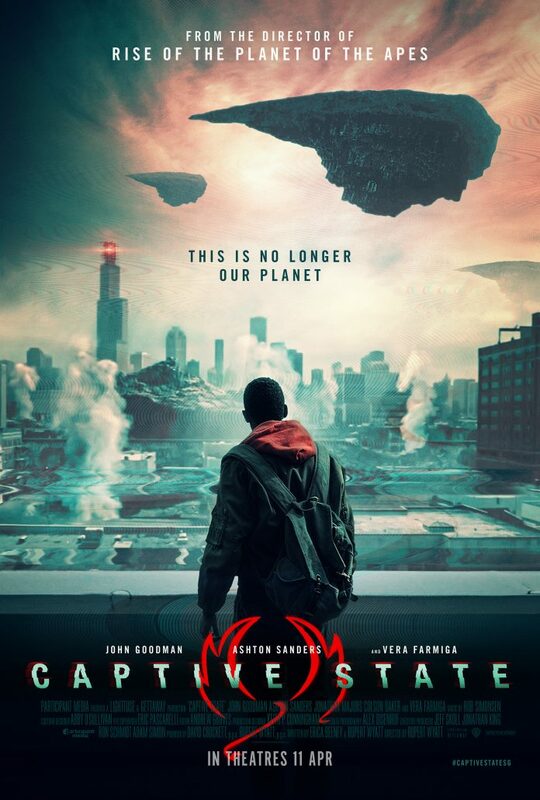 Captive State has an interesting premise: What if alien invaders don’t annihilate the human race but decide to turn earth into an autocratic planet? On paper, it’s brilliant and fresh, but Wyatt’s crew falters in the execution. The result is a movie that is too smart for its own good, leaving most average viewers scratching their heads and maybe even feeling cheated in the end. The Story: It’s the year 2027, about nine years since Earth made first (violent) contact with the aliens. Now, these aliens are our “legislature” — they rule Earth, and humans are just tools to mine natural resources for them. Our central character, Gabriel (Sanders) lost his brother, Rafe (Jonathan Majors) a few years ago in a rebel attack against the aliens. Meanwhile, Chicago police commander William (Goodman) continues to weed out rebel groups and protect his alien rulers. What follows is a human war between government officials and rebels, one where is frighteningly believable. The Good: Director Wyatt’s bold decision to present something so different with a solid cast is perhaps the most commendable. The cast is very much into it too, which sells most of the otherwise bland and confusing plot points. Also, Love, Simon music composer Rob Simonsen complements most of the key scenes with apt and mesmerizing soundtracks. Knock-Out Performance: Farmiga and Goodman are the clear standouts here, outshining their younger colleagues. The delivery of lines, facial expressions, and how they carry the roles are unmatched despite their lesser screentime. Goodman for one seems to be very much into innovative Sci-Fi movies with yet another stellar performance following 10 Cloverfield Lane. Watch Out For: The big reveal at the end of the true mastermind. That’s the only pay-off that is worth the time. Recommended? Not quite. 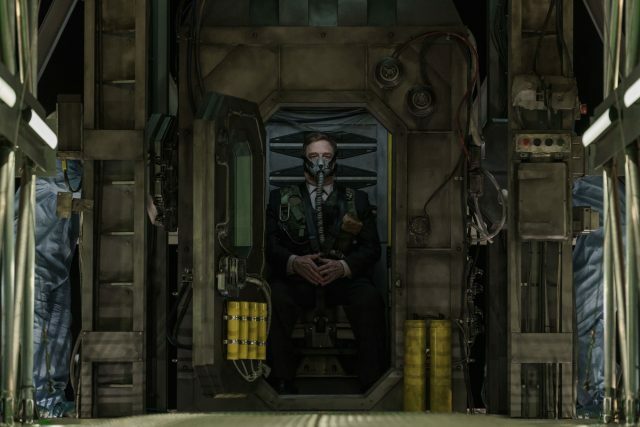 Captive State isn’t an easily accessible film. So, unless you’re prepared to think and follow attentively, you might not enjoy it. If you relish a thought-provoking movie, though, walk in ready.